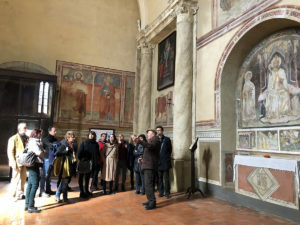 Pienza and the Val d’Orcia have served as a spectacular landscape for the closure of the training course dedicated to the managers and operators of the Tuscan sites included in the UNESCO World Heritage list. The central theme of this last appointment was the analysis of how to develop and implement a useful and effective Management Plan related to the UNESCO World Heritage sites located in Tuscany. It was discussed in an intense two-days-event, at the presence of experts such as Adele Cesi (MiBAC, General Secretariat, UNESCO Office), Marcella Morandini (Director of the Dolomites UNESCO Foundation). They described good practices and management problems and concrete examples of how it is possible to actively involve the community who lives in the territory of the various sites. 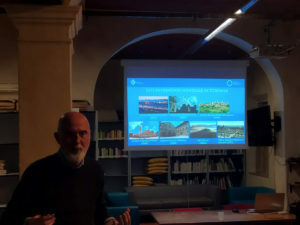 Then the typical features of the Pienza and Val d’Orcia sites were also described with the interventions of the institutional referents, the Deputy Mayor of Pienza Giampietro Colombini and the Mayor of Castiglione d’Orcia, Claudio Galletti (Castiglione d’Orcia is infact the referent municipality for the site Unesco Val d’Orcia). The Mayor of Pienza Fabrizio Fè did the honors and opened the meeting and greeted all the participants. 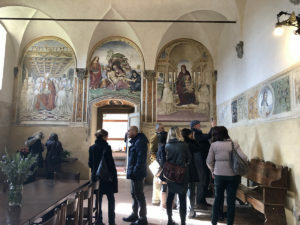 During the second day, a visit to two cultural heritages of the Val d’Orcia area was organized: the former Benedictine Olivetan Monastery of Sant’Anna in Camprena from the XVth century (today an accommodation facility that hosts a cycle of paintings from the artist called “Sodoma” dating back to 1503) and the small medieval village of Monticchiello which with its Teatro Povero shows an uncommon vitality despite the few inhabitants who still live in the town. These are two different examples of how cultural heritage can be combined with effective site management regardless of whether they can be more or less off the tourist routes. 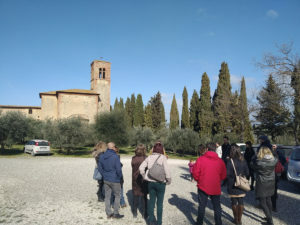 The final phase of the event was organised as a Workshop during which the Val d’Orcia site management plan was analyzed, highlighted and discussed, identifying particularities and critical issues through a careful comparison that may also be useful as a value comparison for the other six Tuscan sites. The workshop has been condicted by the Unesco Office of Florence team led by Carlo Francini, supported by the very useful contribution of Adele Cesi. 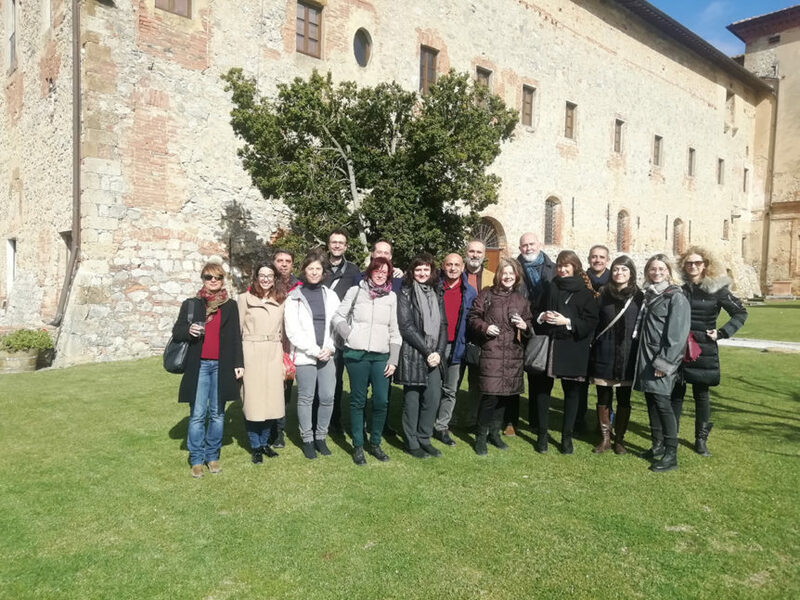 The training course, which Aedeka carried out on behalf of the Tuscany Region and of the Fondazione Sistema Toscana,took place in a very positive and renewed interest and certainly increased the awareness of how much it is still possible to do for the promotion and enhancement of our heritage.